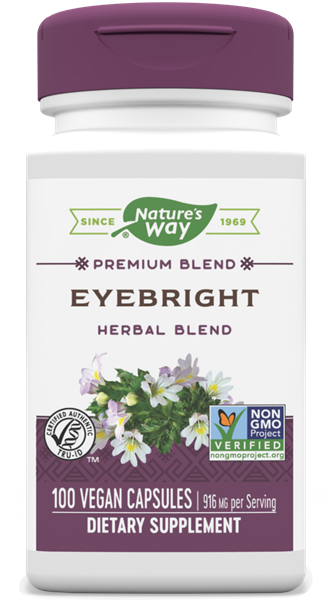 Herbal Eyebright / 100 Caps - Nature's Way®. Take 2 capsules daily with meals. Do not use this product if pregnant or nursing. If you have diabetes or are taking any medications, consult a healthcare professional before use. A traditional herbal supplement, especially popular with women.